These hotel deals are available for booking only on Wednesday December 5th – some of them only for a few hours. 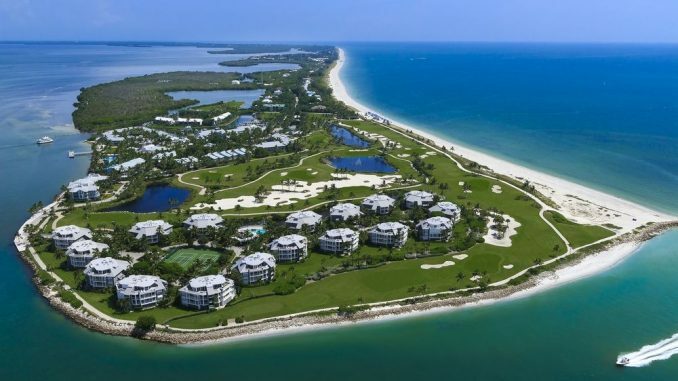 We have one-day offers in 35 US destinations, including the South Seas Island Resort in Captiva, Florida (see the aerial photo above) plus more great places to stay in New Orleans, Reno, Bakersfield and New York City. Travel between January 1, 2018 and December 25, 2018. Available between 9:55 am and 11:59 pm. Travel between October 22, 2018 and January 31, 2019.